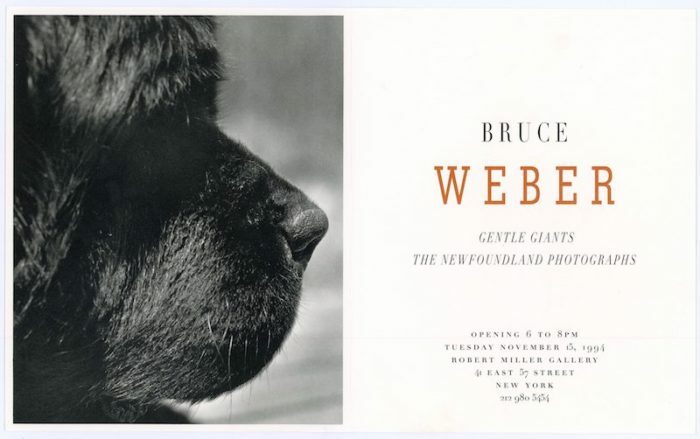 Folded card for Bruce Weber’s exhibition Gentle Giants at the Robert Miller Gallery, 1994. An exhibition about the massive Newfoundland dogs. 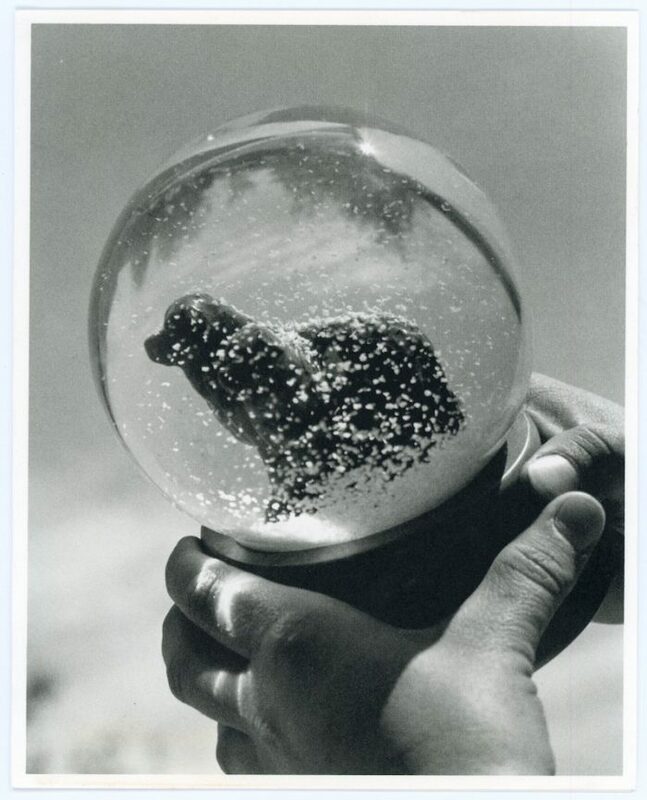 This “photographic odyssey” was later made into a book.